The best way to register guests at your event. GuestDay on iPad makes on-site guest registration simple and elegant. Perfect for corporate events, wedding receptions, conferences, and other important occasions. 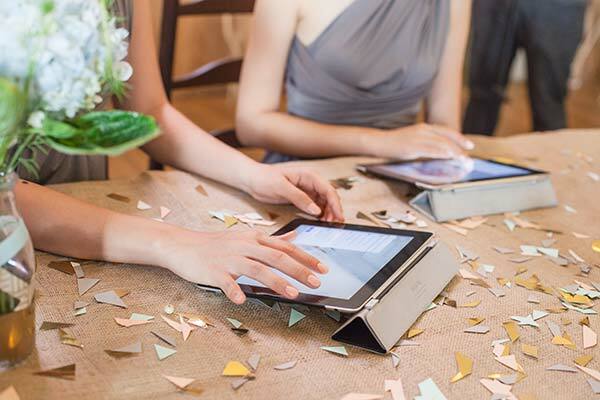 Don&apos;t end up with flustered receptionists and long lines — GuestDay makes registering guests easy with iPads. And it looks great! Search for guests by name, nickname, affiliation, or other information. 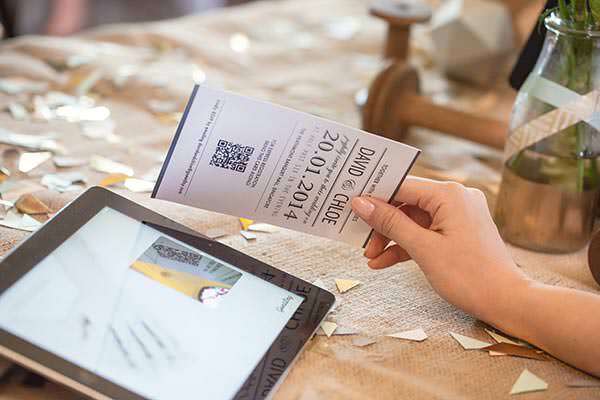 Or give your guests barcodes, and scan them in using the iPad camera. Don&apos;t add the numbers yourself! 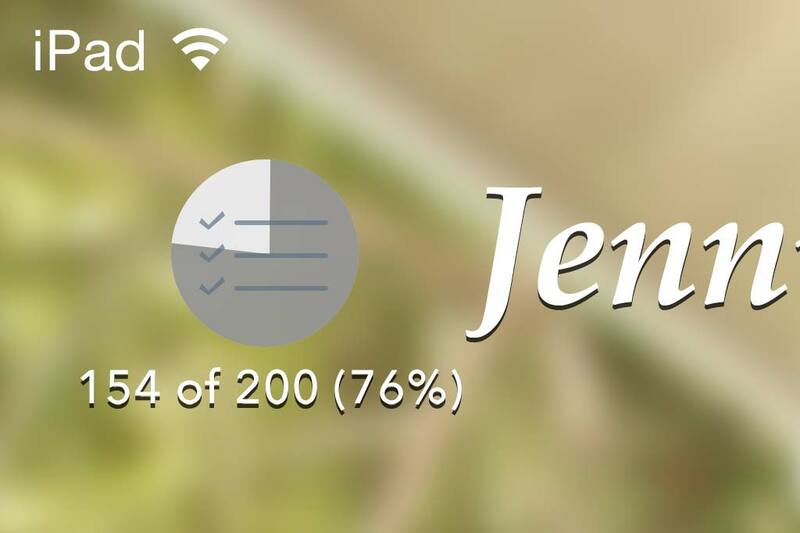 GuestDay syncs automatically across all iPads, so you can see total attendee figures at a glance from any device. Planning an event can be stressful and tiring. That&apos;s why we made GuestDay full-service, with great customer support, so you don&apos;t have to set up any iPads and apps yourself. Just give us your guest list, seating plan, and some photos before the event, and we&apos;ll set everything up for you, delivered to your event location. Simply tell us about your event: how many guests you&apos;re expecting, when it is, and if you&apos;d like to use QR codes or monitors. We&apos;ll get back to you with a quote in two working days.